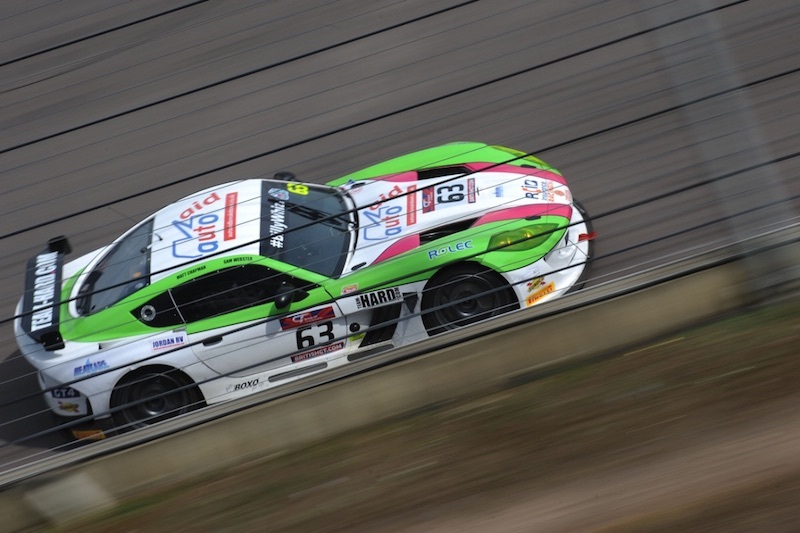 British GT4 driver Matt Chapman experienced a tougher than expected outing during rounds four and five at Snetterton over the weekend, 27th/28th May, when power issues and contact in race two – when team-mate Sam Webster was at the wheel – resulted in a pair of 12th place results. Three weeks since a luckless steering problem cost British GT Championship rookie Matt Chapman a maiden GT4 podium finish, the Oxford teenager is preparing to try and set the record straight when rounds four and five of the season take place at Snetterton in Norfolk next weekend, 27th/28th May. 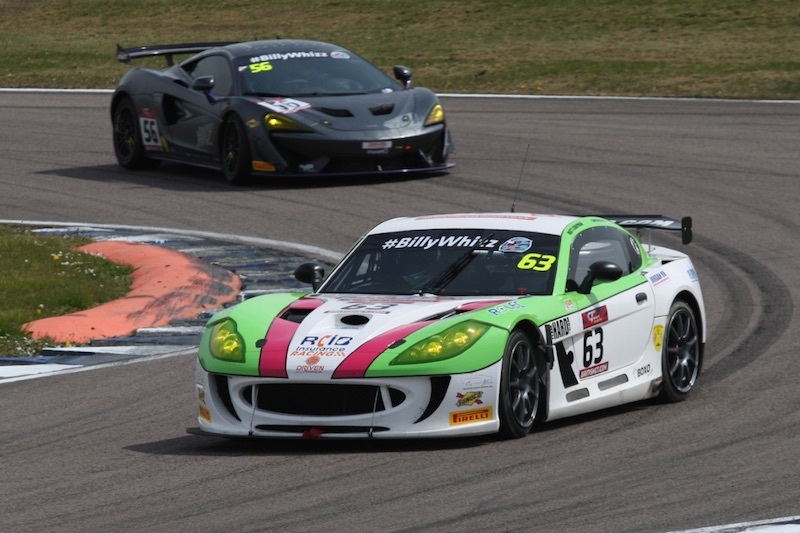 During the previous event at Rockingham in Northamptonshire at the end of last month, Ginetta G55 racer Chapman and team-mate Sam Webster looked well on course to seal their first silverware but an oil pressure issue and subsequent steering failure ended the pairing’s genuine podium bid. All looked good approaching the final half hour with Chapman holding third place, Webster having delivered a strong and consistent opening hour and pitting at the midway point from fourth in GT4. Emerging in an improved top three spot for his stint, Chapman set about maintaining third place but after slipping to fifth with the oil issue the race then came to an early end with 25 minutes to go. While frustrated to have been forced to retire from round three of the championship after such a strong and competitive showing, the Autoaid/RCIB Insurance Racing duo took a huge amount of confidence away from the encounter after producing terrific pace and excellent racecraft. Not only that, the team-mates shone in qualifying at Rockingham too with a season-best top five performance. 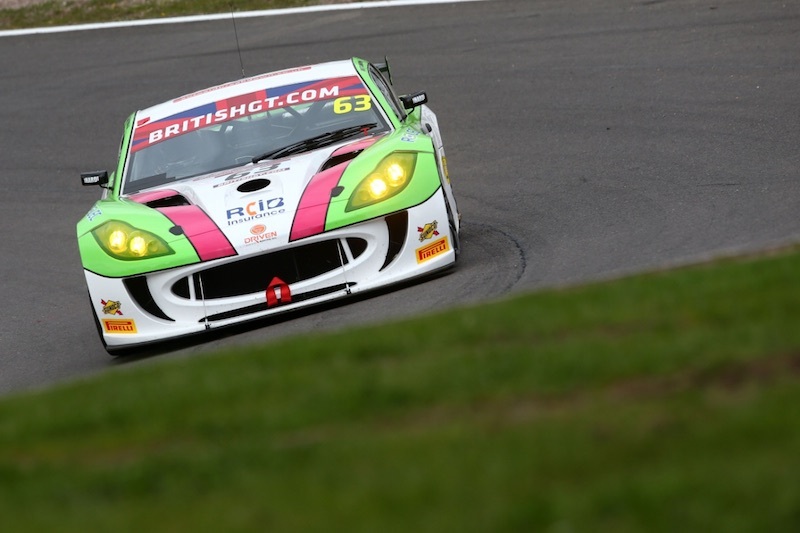 Getting quicker and more competitive during each outing in the No.63 Ginetta, first year British GT driver Chapman is relishing the championship’s resumption a week from now. “Snetterton should be pretty good for the Ginetta and I’ve performed well there in the past, plus Sam [Webster] was quick on the Media Day, so we’ll be going into next weekend feeling quite confident”, said the 2016 Ginetta GT5 Challenge Vice-Champion. 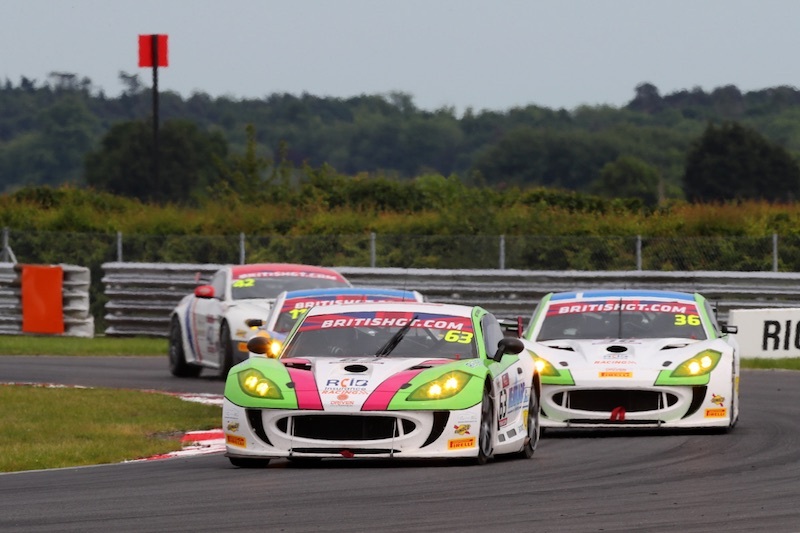 British GT’s annual visit to Snetterton marks a return to the ‘double-header’ format with rounds four and five each taking place over 60 minutes. The 2.97-mile 300 Circuit provides an intriguing test with two long straights punctuated by a slower, more technical infield section. Add in the famous Bomb Hole and Coram right-handers and you have a track favoured by drivers and spectators alike. Following the usual pair of practice sessions next Saturday, 27th May, qualifying for the GT4 drivers will commence at approximately 16.25. On Sunday, 28th May, there will be a 10-minute ‘warm-up’ at 09.30 ahead of round four at 11.40 and round five at 16.00. Both races will be screened live in the UK on free-to-air channel Front Runner.